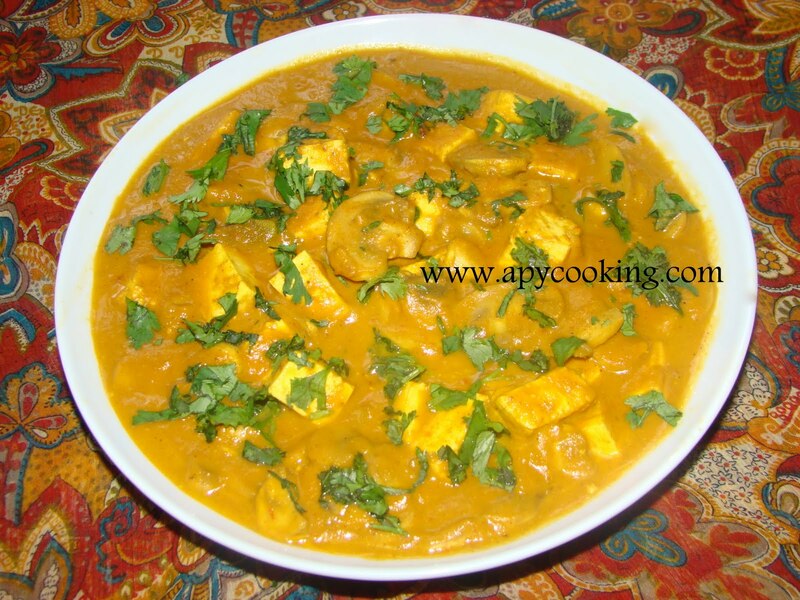 Apy Cooking: Paneer Mushroom Masala - and about some masalas. Looks so delicious.. I too prefer to roast the onion,ginger garlic paste before pureeing it.. It lends a completely new flavour.. I agree with MIL too..Kitchen king tastes so good when added in such gravies.. takes the dish to a completely new level.. not sure if you have tried it.. but sabzi masala too tastes really nice..
wow, mouth watering pics :) I think I too use kitchen king masala, but very rarely. innovative!wud like to try this recipe,pls name the veggies in the mixed vegetables which will blend well with this gravy. 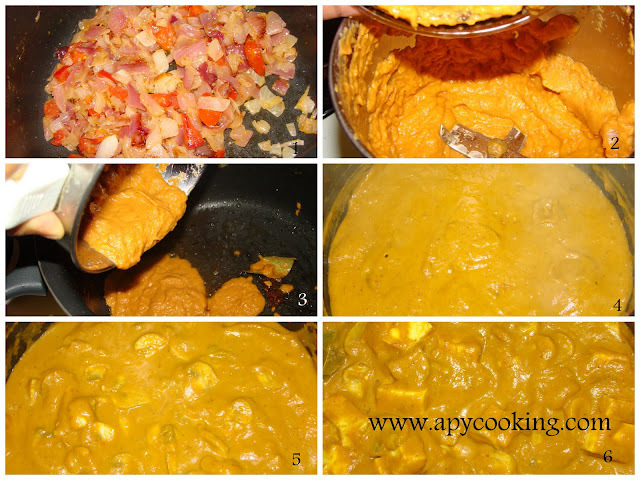 You can use potatoes, carrots, beans, frozen peas, frozen corn - I boil these separately in the microwave and add. ooh !! mouth watering Aparna.. even the colour looks awesome !! Thanks for linking ! This looks amazing. Please also share your recipe for tandoori roti or naan. 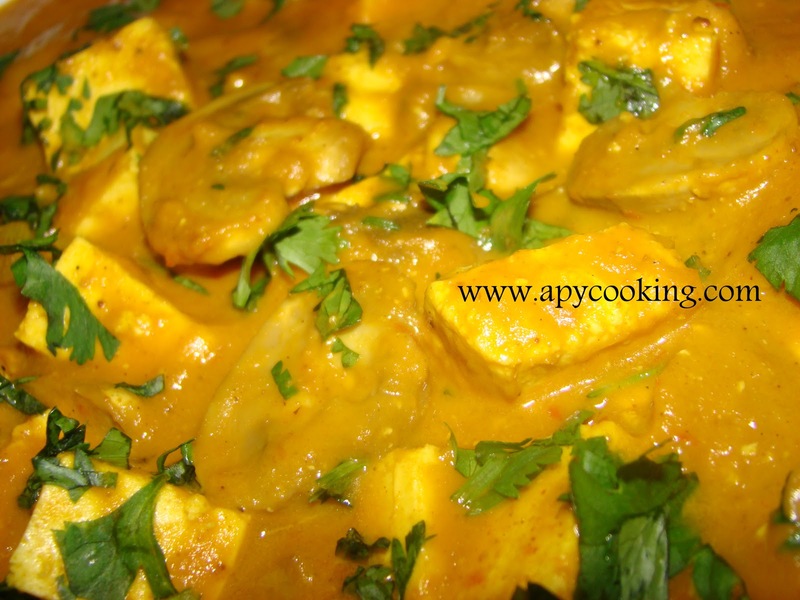 I would love to make those at home along with this dish.